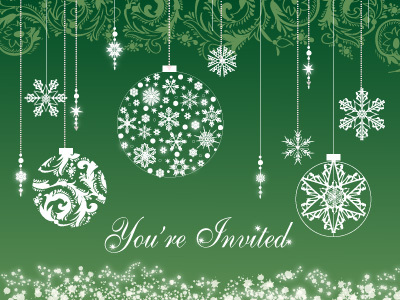 Online invitations make holiday party planning much more efficient for both you and your guests. From creating and sending your holiday party invitations to following up before and after the event, CorpNote has you covered! 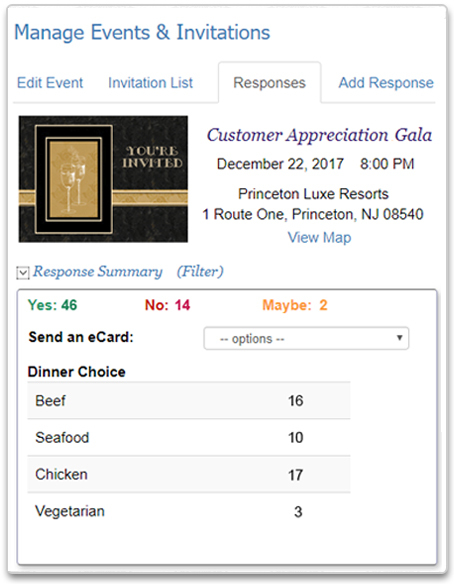 Create your event in CorpNote's Invitation Manager and be sure to include as much information as possible including the location and directions to the event, whether the people you invite can bring guests, questions such as meal choice or special dietary restrictions. If you have more questions, or want more flexibility, you can create an online survey to be used as part of the invitation. In this case, you will include both the event and the survey when you send your eCard. We also recommend setting an RSVP cut-off date to get responses in a timely manner. You can always, at any time, extend the RSVP date to be later if you need to. You can also choose to receive an email notification when someone responds. You can choose to have this notification sent as a cumulative email once a day (which you might want to set initially) or to send an email notice each time someone responds (which you might want to set a few days after you send your invitations). The latter option will include the guest's response details. For more information about creating an event, view our Creating and Managing Events tutorial. For your invitation/guest list, you are not required to use CorpNote's address book, but there are many benefits if you do. Our address book enables you to more efficiently keep track of your invitation list, send your invitations to larger guest lists, and more easily send reminder and follow-up emails. It also makes the personalization of your invitations easier because you can automatically include a person's first name in the greeting line of your invitation. If you are not familiar with all of the features in the address book, view the Address Book tutorial. CorpNote allows you to either link directly to your event's RSVP form or to send a personalized eCard invitation announcing your event to your guests. To send an eCard invitation, select from one of our eCard designs by searching either the 'invitation' or 'Season's Greetings' category or create and upload a custom design from your own artwork or photos. (View the tutorial: Custom eCard Designs). Compose your message and then select the event for which you want your guests to RSVP. This will insert a button that enables guests to RSVP, and ensures that your eCard recipients will be automatically added to your "invitation list." No matter how many individual invitations you send for an event, as long as you link each invitation with that specific event, CorpNote will automatically consolidate your invitation list for you so all of your responses are recorded in the same place. The invitation list will show you how many people have viewed your invitation and whether they responded. You can re-send the invitation at any time to people who have not viewed the invitation or responded. 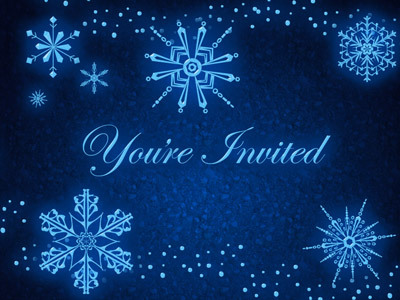 Your invitation list will also be updated to show who you sent a reminder to and when. When your invitation has responses, you will be notified by email if you selected that option when you set up your event and you will see their responses in the invitation manager. Choose 'View Responses' from the drop down menu next to an event to view everyone who has responded to that event's invitation. You can also export a MS Excel-compatible .csv file that you can work with to print an attendance list, nametags etc. The response summary will provide the total number of people who responded yes, no or maybe (if you enabled the maybe response for that event). You will also see the consolidated answers for any questions you asked with the invitation. If someone calls or emails you directly to respond or to change their response, no problem! To add a response, choose 'Add a Response' from the event's drop down menu. To edit a response, choose 'View Responses' from the event's drop down menu and then search/find the person's response. Click the edit icon next to their name to edit their response or click the trash icon to delete a response. If someone should accidentally respond twice, you can delete their RSVP in the same way. If you want to check for duplicate responses, we recommend exporting your guest list as a .csv file and sorting by last name or email address to find the duplicates. Reminders let you keep in touch with your guests. Choose 'View Responses' from the drop down menu next to an event. In the Response Summary section, you will see the option to send an eCard. From the drop down menu, select 'people who responded yes.' You can then choose an eCard template you created for the reminder or leave the option as 'none' to create a new eCard. Either way, you can edit the message for your reminder eCard. When you proceed to address and send the eCard, you will see the selected recipients in the address list who are the 'people who responded yes'. After you send your reminder eCard, you can easily identify it your Sent eCards bin. It will have the 'follow up created' date as well as auto generated comments so you know the day you created the follow up, when it was sent and to whom. Thank you notes are always a nice touch after a party to let people know you appreciated their coming to your event. You could use a photo from the party as your eCard design or choose one of our thank you greeting card designs. To send a Thank You eCard, or any type of follow-up message after an event, choose 'View Responses' from the drop down menu next to an event and follow the same instructions that we provided above for how to send an event reminder. Tip: Consider including an online survey when you send your follow-up eCard after an event. You can ask your guests questions about their satisfaction with the facility or ideas they have for next year's party. Surveys are included with your CorpNote membership and they can be very helpful for future party planning.